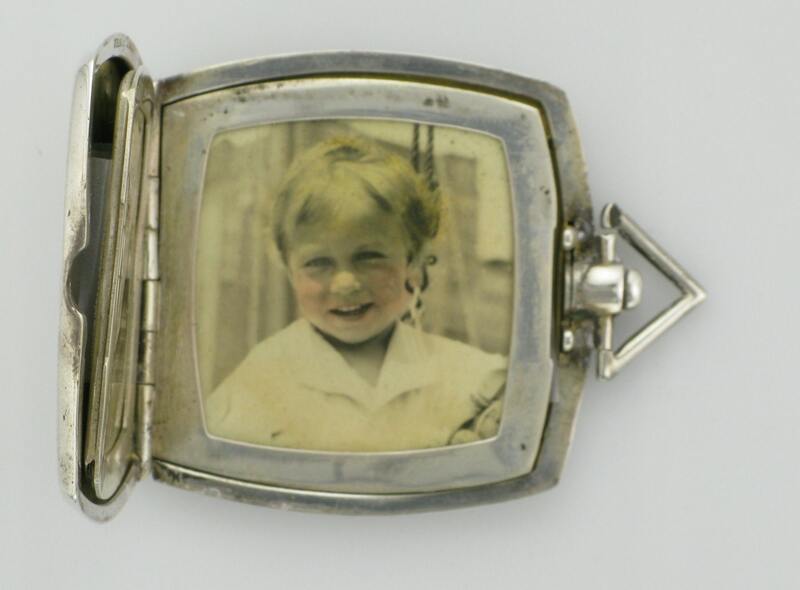 I love, love, love this locket!! 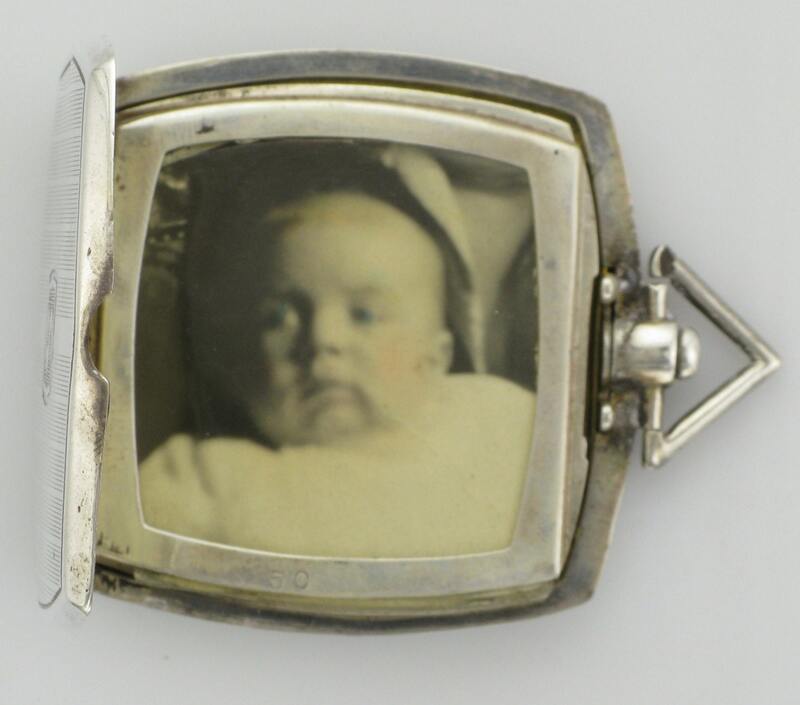 The locket is cushion shaped with a triangular bail at the top. 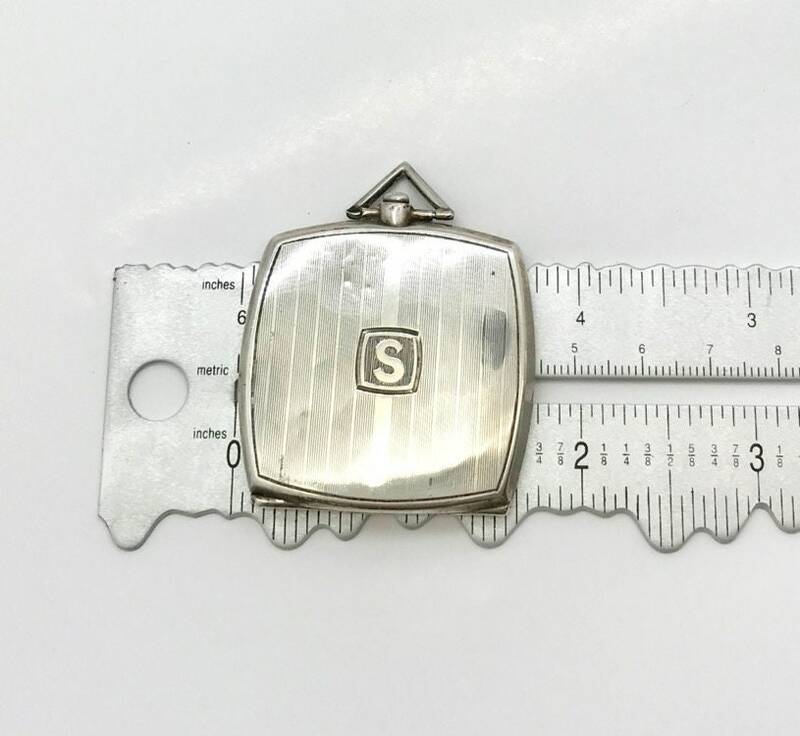 On the front of the locket in the center is the letter "S". 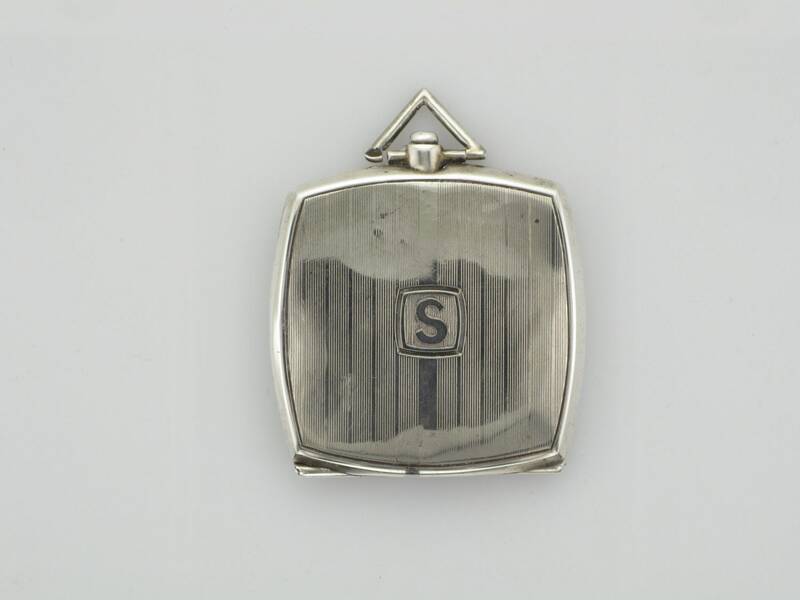 Both the back and the front of the locket are engraved with a stripe design. 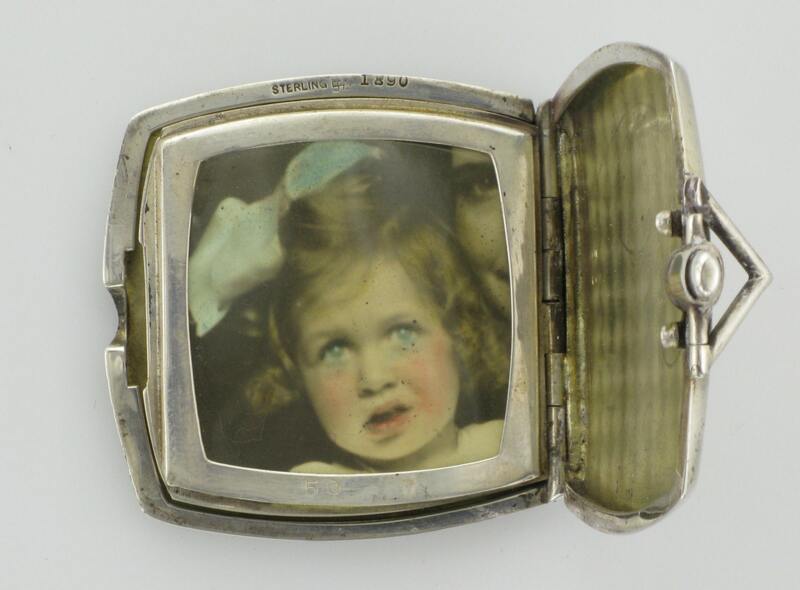 Inside, are 4 of the most adorable photos in semi-colored sepia! 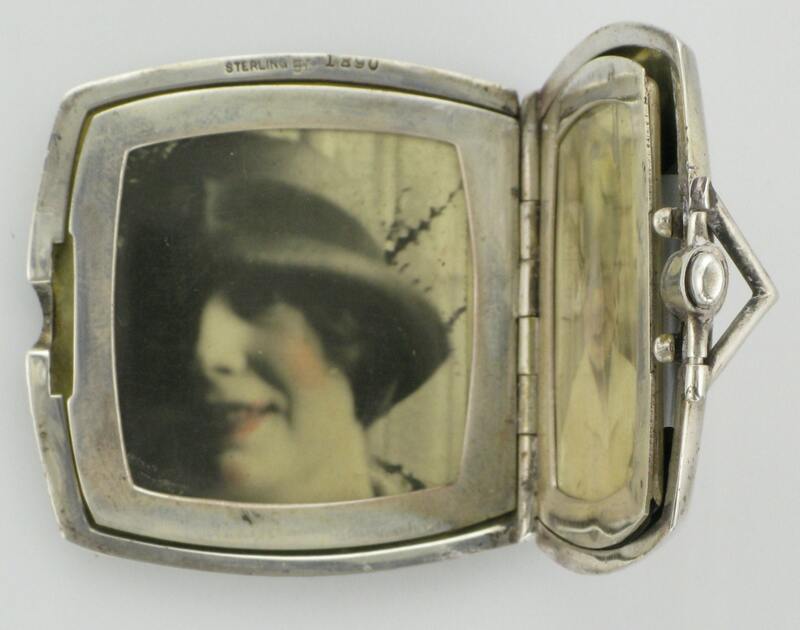 There are two frames holding the 4 photos--and the photo's move much like a notebook. 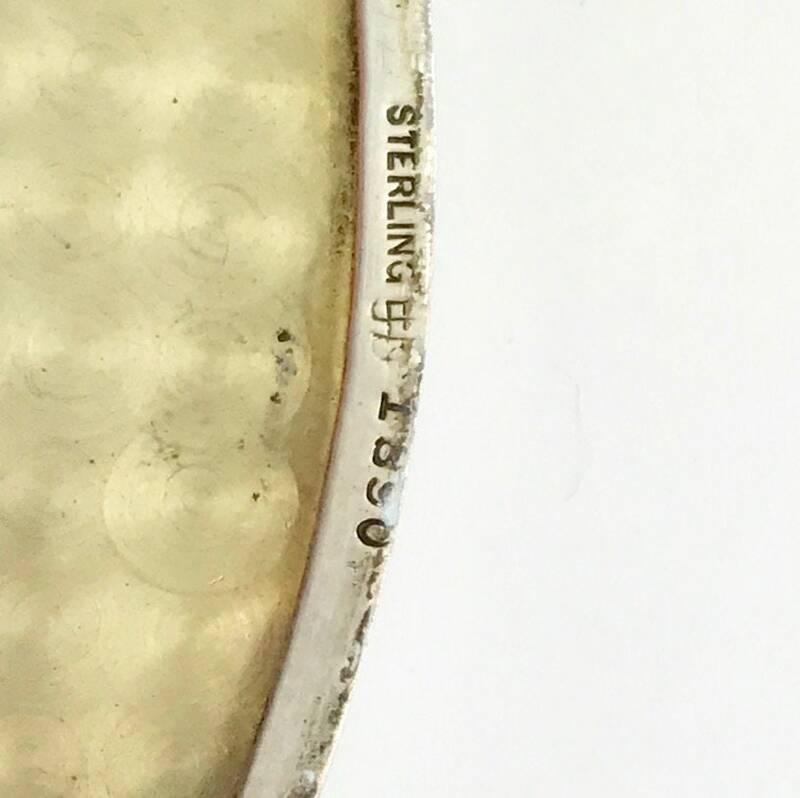 Stamped on the locket on the inside cover is "sterling 1890". 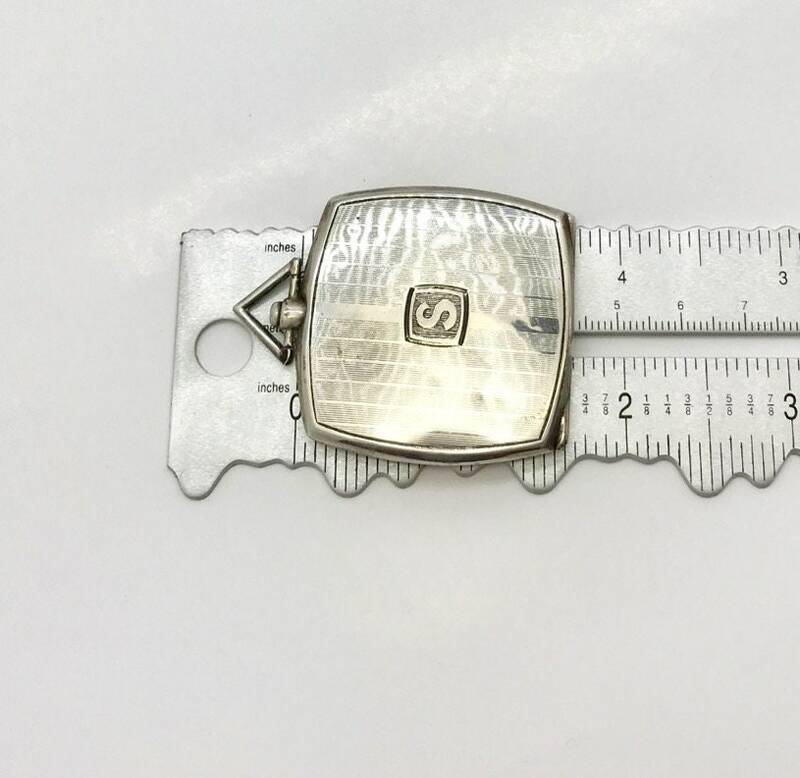 To open the locket you push down on the button at the top--the locket also closes securely. 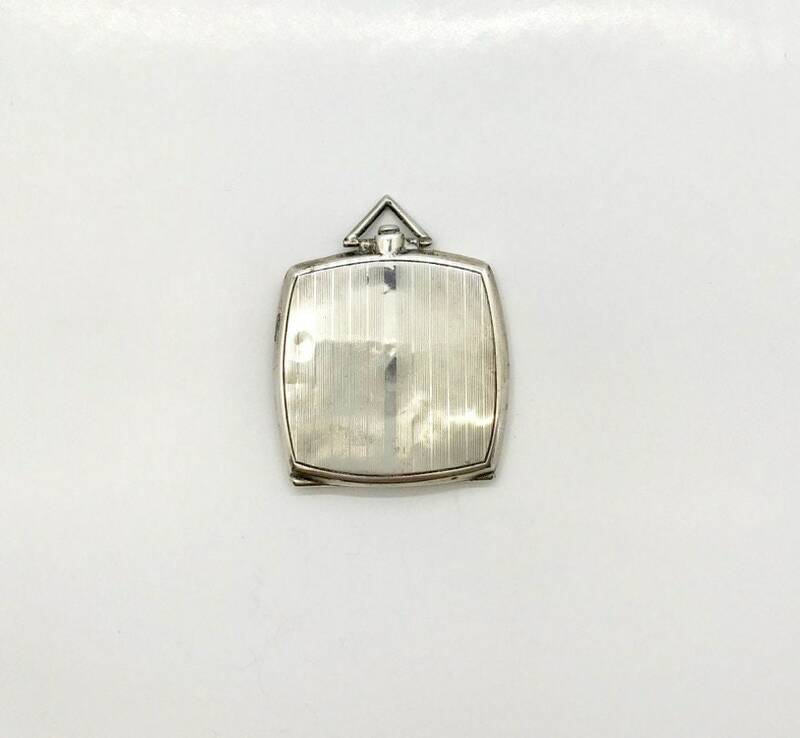 There are some dents in the locket, front and back, but they look like little teeth dents. Replace the photos and add yours or keep the old photos for a ready made set of relatives!! Very, Very cute! !